Since the SIR Program began in 1991, there has been a significant reduction in the number of codling moths, a significant reduction in the level of codling moth damage, and a significant reduction in the amount of codling moth pesticides used. The success of the SIR Program in decreasing codling moth levels by over 90% has had a similar impact on the amount of pesticides applied annually to control the pest. Between 1991 and 2014, the estimated amount of pesticides applied per acre of commercial orchards to control codling moth in the SIR Program area decreased by 90%. Since 1991, the amount of pesticide used against codling moth in the program area has been reduced by 96%. Thousands of new residents move to the Southern Interior every year to enjoy its quality of life. 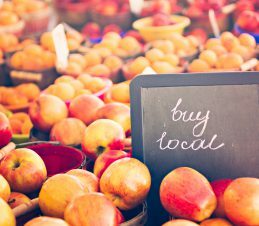 More people than ever before are living close to commercial orchard operations. The use of sterile insect technology in all orchard management, and the reduced use of organophosphate pesticides, helps calm fears neighbouring residents may have about chemical pesticides. 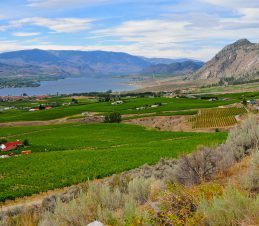 The rows of apple, pear and other fruit trees on the Southern Interior’s sloping hillsides add to the region’s beauty and help to draw tourists to the area. The appeal of the area is further enhanced by the minimal use of chemicals in the orchards and the high quality clean fruit produced. 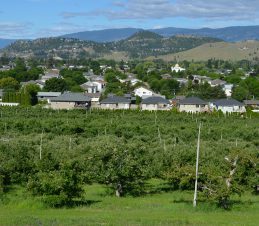 The success of the Program has positioned the BC tree fruit industry to expand into markets that favour growers from areas of “low pest prevalence” and low reliance on chemical pesticides. The Program contributes to the reputation of the Southern Interior as a centre of excellence in horticultural research and innovation. International scientists have paid to attend an SIR training program to learn the principles and procedures of an area-wide pest management program using sterile insect technology. Information from the SIR Program is now being applied in places such as the US, Argentina, Chile, Brazil, South Africa, Morocco, Tunisia, and Pakistan.